Blood Pressures seethes with all the biting guitars and chain-gang lyricism Kills fans have come to expect. But there’s a new, welcome melodic bolster. 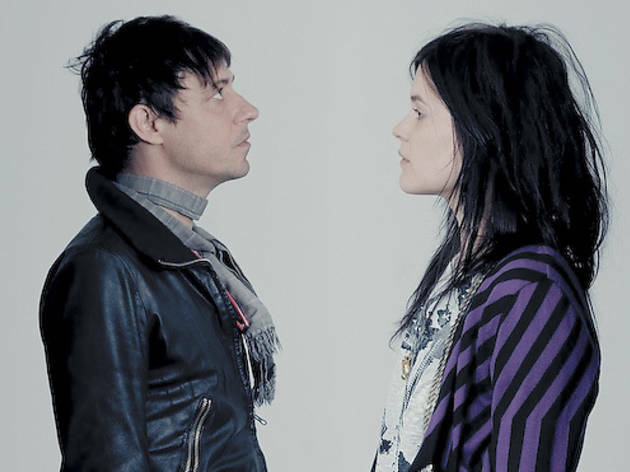 Alison Mosshart and Jamie Hince have rolled through Chicago countless times with their gritty future-blues duo the Kills, but the London-based band hasn’t crossed the pond since its hypercharged Midnight Boom tour in 2009. Vocalist Mosshart, a native of Florida, has been busy, making music with her other six-string paramour, Jack White, in their Captain Beefheart–inspired supergroup the Dead Weather. Hince—in case you missed the tabloid headlines—has shacked up with Kate Moss and is currently living the high life with the world’s most famous supermodel. Mosshart and Hince skulked from the shadows to the limelight in 2000 with bare-bones drum machines and simple, scuzzy guitar lines. 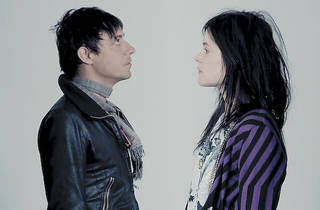 The Kills have never really deviated from this tried-and-trusted track, though Midnight Boom introduced layered grooves and higher velocities born from a collaboration with hip-hop producer XXXChange. Its new record, Blood Pressures, seethes with all the biting guitars and chain-gang lyricism fans have come to expect, but there’s a welcome melodic bolster thanks to heavier instrumentation (everything from pianos to ping-pong percussion) and gentle harmonies. Onstage, both members have their sass ’n’ swagger routine nailed. With wild raven locks, the duo wouldn’t be out of place in a Vogue spread. Hince shapes his low-down dirty riffs like a potter, triggering rhythm tracks with Gucci steel-cap boots. While Mosshart’s impenetrable air of disdain and the pair’s much-speculated-about sexual tension occasionally feel more cultivated than casual, the flirtatious fisticuffs rigmarole rarely fails to leave audiences hot under the collar.